People spent their entire lives building them. Gods on earth used them to rest eternal and a pyramid in the desert was the origin of inspiration that would eventually birth this show. 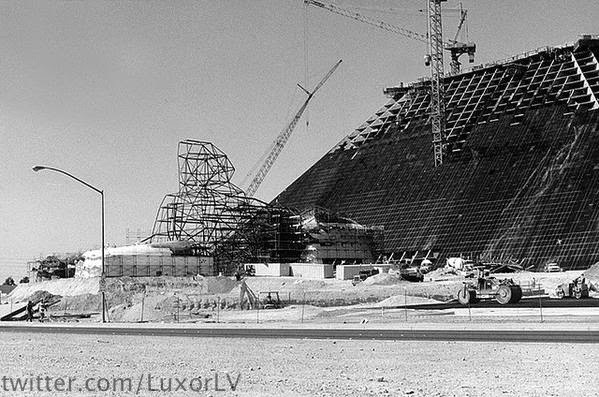 @luxorlv crushed it this week in the emotional symbolism department when they shared a picture of the property under construction. While black and white photography is classic and beautiful, it seems over exaggerated considering the picture was taking in the early 90s. Architecturally, pyramids will always catch my attention. However Luxor has a special place in my heart because of how it introduced me to a place that changed my life. 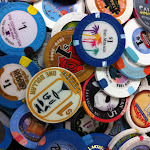 While I’ll admit, odds are if Luxor never existed Keren and I would have visited Vegas at some point anyway and logically that means I would have still fallin’ in love with the city eventually resulting in the show…but it didn’t, so Luxor wins. You’ve got to see this picture. It shows the pyramid about a 3rd into completion and has the sphinx wire frame up, just under construction. Check it out.